View cart “Vegan Fig Salami Variety Set of 3” has been added to your cart. 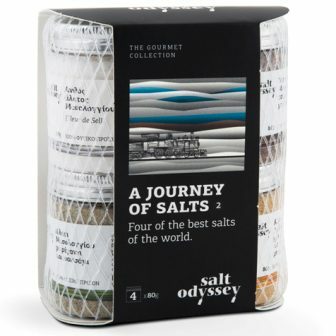 A Journey Of Salts, Four of the Best Salts World Edition by Salt Odyssey produces four of the finest salts in one package of 4 plastic 2.82 oz jars with aluminum lids. 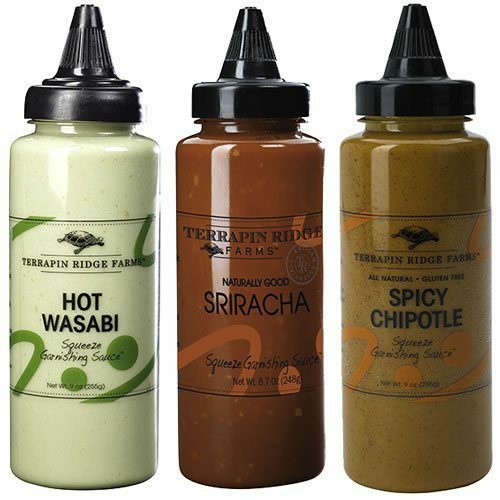 Perfect gift for the home chef. 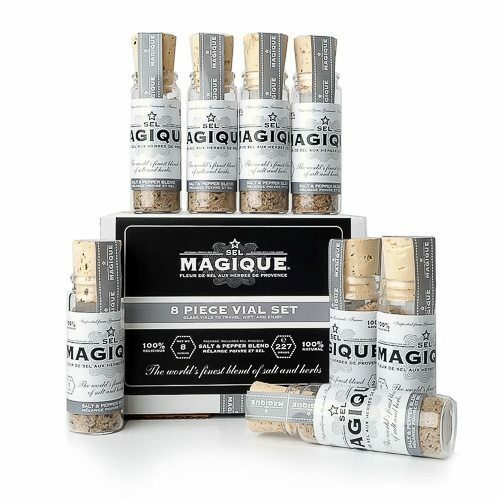 The best gourmet, multi-awarded salt available is made by naturally smoking pure sea salt in real beechwood for 140 hours, to create a powerful, intense, deliciously rich smoked salt. 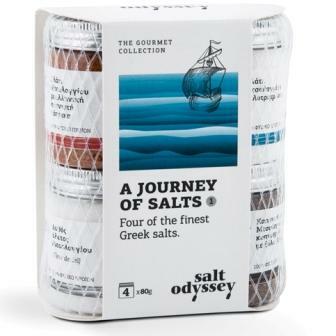 Salt Odyssey’s smoked fine sea salt is valued for its deep, smoky aroma, unique golden brown color & unique flavor! Sea salt from Messolonghi with turmeric, mustard, curry, and sumac. Ideal for chicken, rice, grilled meat, pasta & dressingss. A superior clean, fresh and certified organic sea salt combining the aromatic flavors of Mediterranean herbs with the fantastic taste of grilled sesame seeds. 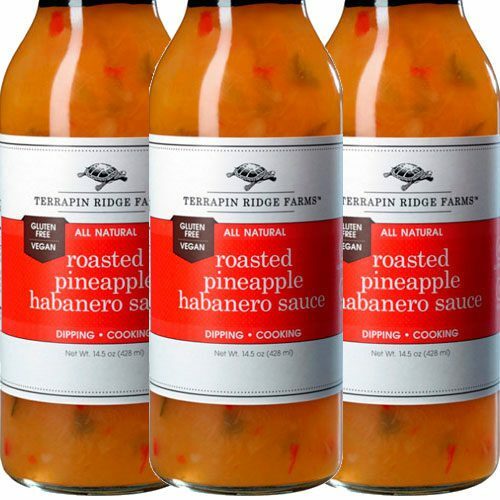 The perfect “put-it-on-everything” ingredient that can be used instead of broth cubes in every cooked or baked recipe, flavor your salads, or give its wonderful Mediterranean taste to pastas and potatoes. All natural and unrefined, the purest & tastiest of all sea salts. Skimmed off by hand from the salt ponds of Messolonghi, these luxurious, clean-tasting crystals surprise chefs & food professionals. With its velvety flavor & moist texture, it works miracles as a finishing salt.